Function: 1. 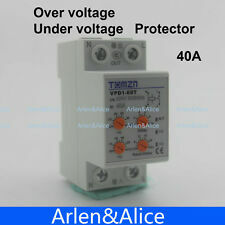 Over current protection 1A-63A (adjustable) (default: 40A). 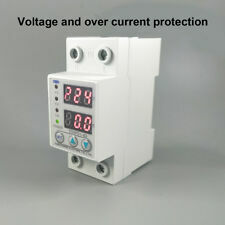 Over current protection: 1A-63A (adjustable) (default: 40A). The relative air humidity at installation place shall not be more than 50% when the ambient air temperature is 40℃; Relative humidity may be high under low temperature condition. 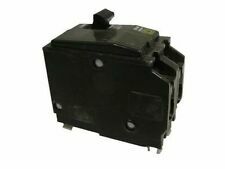 (3) When ATSE is short circuit or over load, The MCB of ATSE will protect tripping. If power display normally the handle of MCB is switching on. 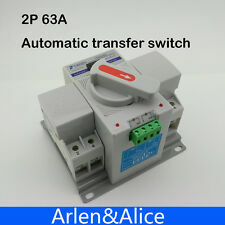 Users can wire after ATSE installation (refer to design and use). Trending at C $66.62eBay determines this price through a machine-learned model of the product's sale prices within the last 90 days. Passing Max Current: 40A. when the power situation is unstable. Noted: When you first connect the product, you have to wait about 1 minute, after the red light turn off, then the product will work. Main Technical Speacification. Conventional heat current 40A. when the power situation is unstable. The maximum load power 7KVA. Noted: When you first connect the product, you have to wait about 1 minute, after the red light turn off, then the product will work. : 40KA 60KA 10KA. Protection Mode: L-PE,N-PE (1P, 2P,3P,3P N). Short circuit current: up to 10kA (8/20μs);. Leakage current: ≤20μA. 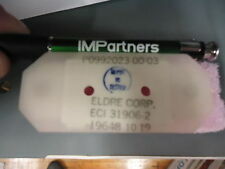 Standard: IEC/EN 61643-1. Passing Max Current: 40A. when the power situation is unstable. Noted: When you first connect the product, you have to wait about 1 minute, after the red light turn off, then the product will work. 3 LED LAMP. Circuit breaker to connect front loop for two poles serial connection. It has overloading and short circuit protection, unique-design structure and strong. permanent magnetism arc system make the product has 6KA short circuit capability. 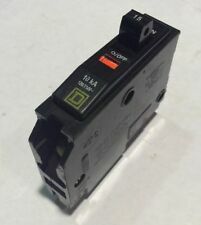 DPNL RCBO 1P N 40A. It can protect civil electron circuit from over load and short-circuit. The red indicator window only display red, when the product trip off itself. it can't turn to red, only turn on the handle. 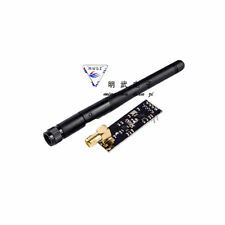 It can protect civil electron circuit from over load and short-circuit. The red indicator window only display red, when the product trip off itself. it can't turn to red, only turn on the handle. 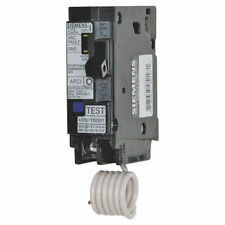 Residual current type: AC type. RESIDUAL CURRENT SCOPE. SHORT-CIRCUITE BREAKING CAPACITY(Inc). RATED CURRENT(In). Applied with power entrance character. Convenient for installation and saving cables. 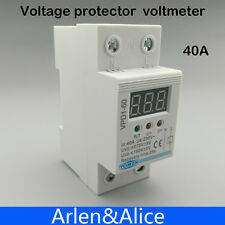 It is used for 440V circuit 3 poles. circuit breaker to connect front loop for two poles serial connection. It has overloading and short circuit protection, unique-design structure and strong. Characteristic Curve. Over current protective characteristic. Rated making and breaking capacity. Breaking capacity. : 40KA 60KA 10KA. Protection Mode: L-PE,N-PE (1P, 2P,3P,3P N). Short circuit current: up to 10kA (8/20μs);. Leakage current: ≤20μA. Protection Class: C B D.
By connection bus. Number of poles: 2. Color-coded and numbered directory with matching breaker labels make it a snap for anyone to find the right breaker quickly. Adhesive backed, and will stick to any clean dry surface. Fix it now - helping anyone find the right breaker fast - even if you're not around to help. 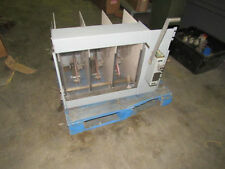 Here is a NOS square D I-Line 3 Phase Breaker. 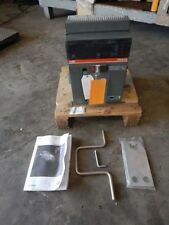 175 Amp 240 Volt. Cat # Q232175. Brand Schneider MPN Does Not Apply UPC Does not apply.